I’ve got a short and sweet post for you today. 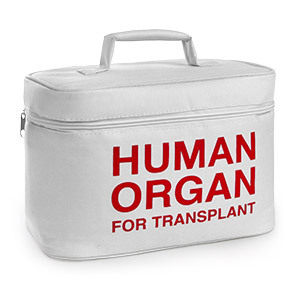 I’ve been spending some time recently thinking about organ donation and home deaths/funerals. I began wondering if these two wonderful things worked together and whether you’d have to sacrifice one for the other. To answer my questions (and hopefully yours) I spoke to a lovely chap at the Organ Donation Register. Q. Can you die at home and donate your organs? A. Organ donation is only possible if the patient dies in hospital, usually this has to be in intensive care following a stroke or head injury for example. This is because the organs deteriorate very quickly after the supply of oxygen is cut and therefore need to be removed as soon as possible after death. Q. Can you die at home and donate tissue? A. Tissue can still be donated up to 24 hours after death so this can still occur after a home death. The next of kin will have to contact tissue services in this circumstance. Their 24 hour phone line is 08004320559. Q. After tissue or organs have been donated can the body be returned to the family for a home funeral? A. Yes. Donation occurs very quickly and the body is returned to the family immediately afterwards. Have you guys got any concerns about this subject? Send me an email with any more questions or information to thewindingsheet@outlook.com. For more information about organ/tissue donation and to register as a donor click here.